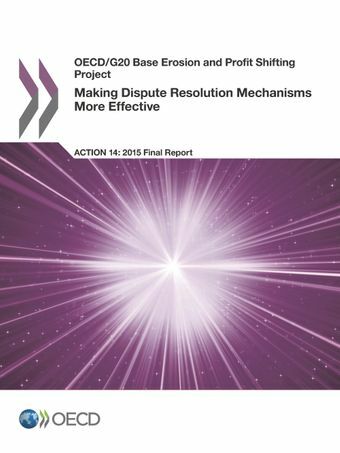 Improving dispute resolution mechanisms is an integral component of the work on BEPS. The measures developed under Action 14 of the BEPS Project and contained in this report aim to minimize the risks of uncertainty and unintended double taxation. They do so by ensuring the consistent and proper implementation of tax treaties, including the effective and timely resolution of disputes regarding their interpretation or application through the mutual agreement procedure. Countries have agreed to important changes in their approach to dispute resolution, such as a minimum standard with respect to the resolution of treaty-related disputes. They have committed to its rapid implementation and agreed to ensure its effective implementation through the establishment of a robust peer-based monitoring mechanism. A large group of countries has also committed to provide for mandatory binding arbitration in their bilateral tax treaties as a mechanism to guarantee that treaty-related disputes will be resolved within a specified timeframe.